B.A. (Economics), UPSALA COLLEGE, NEW JERSEY, U.S.A.
2004 - Present : Chairman of the Board of Directors and Independent Director, Major Cineplex Group Plc. 2008 - Present : Chairman of the Board of Directors, Energy Absolute Plc. 2008 - Present : Chairman of the Board of Directors, Vejthani Plc. 1995 - Present : Chairman of the Board of Directors, Dhipaya Insurance Plc. 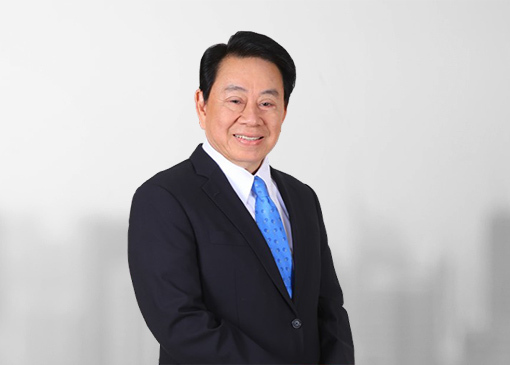 2008 - Present : Director, Siam Piwat Co., Ltd.
2000 - Present : Director, Siam Piwat Holding Co., Ltd.